Participating clubs may enter runners prior to the season and in accordance with the updated Rules on the website also included in the Team Managers’ Guide, and will issue a number to their runners. Runners may not enter as individuals. Guest runners may be permitted, but again only in accordance with the updated Rules as well as included in the Team Managers’ Guide. Attention All Athletes: As per the League Rules (see Rule 31): Any runners wearing headphones will be disqualified. Important Note: Please follow the fixture signage as soon as it is encountered to avoid any issues with local residents. Southbound traffic: Follow the A34 south and either turn off at Beedon and come through Worlds End, then turn left over the A34. Or continue to the A34/M4 Junction, then follow the northbound directions below. 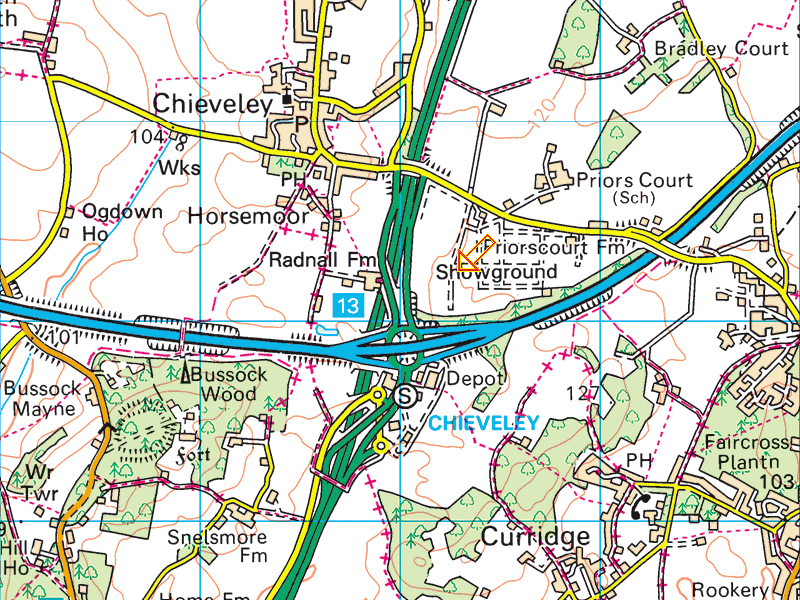 Northbound traffic: Follow the A34 north taking the Chieveley exit (do not miss this exit otherwise the nearest next exit is East Ilsley) and then turn right at the junction to cross over the A34. From that point onwards follow the signs. The standard car parking fee for all 2018–19 OXL fixtures is £4.00 per vehicle to cover cover the costs of running the fixture, as agreed at the 2017 OXL AGM. Please Note: Further notices and updates relating to any restrictions will be posted here as the date of the fixture approaches and is required. Please ensure you revisit this page and re–check for any updates/changes before the date of the fixture. Please Note: The men’s race now precedes the women’s race at all fixtures. 2018 Newbury XC Course & Site Maps. Please Note: The route to the finish for all races has changed and the order of the laps in the men’s race has also changed with the short lap first followed by the two long laps. These are all according to age at midnight on the age date (31 August 2018), with the additional minimum age requirement for U9s – see below. • Vet Men V1 are age 40 to 49; V2 are age 50 to 59; V3 are age 60 to 69; V4 are 70 or over on the age date.